Oooooooooh! 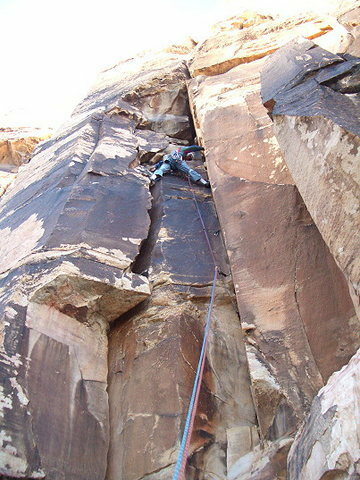 That's Andy on Whoosh at the mouth of Oak Creek Canyon in the Red Rocks, Las Vegas. This is a terrible place to belay or hang out at the crag. A giant loose block is teetering ready to fall from the top of this pitch. PLEASE share this WARNING as widely as possible.